The Brown Henna Hair Color can cover the grey hair and provide an even brown shade to the hair. 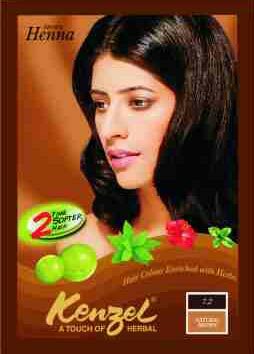 The Kenzel Brown Henna Hair Color is a popular demand across the globe owing to its perfectly balanced blend of herbal extracts and colorants. The Brown Henna Hair Color is competitively priced, with the deliveries being timely and safe. The Brown Henna Hair Color is made using the best grade henna leaves with the help of proper cleaning & mixing as well as filtration processes.